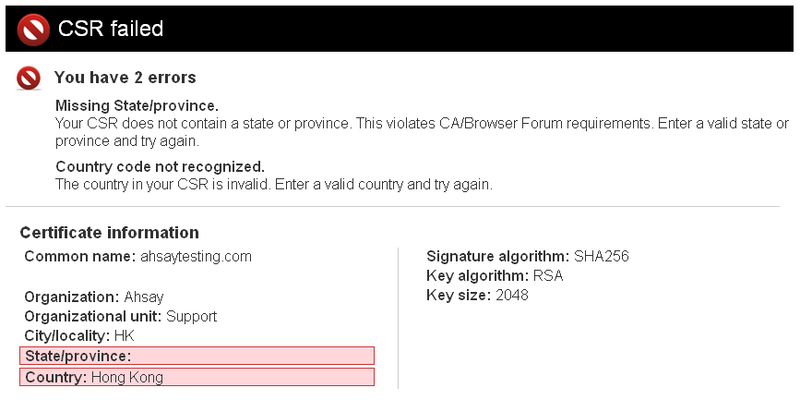 When generating CSR via the AhsayCBS console at System Settings > Basic > SSL Certificate, the CSR generated is invalid (cannot be used to purchase a SSL certificate). This is a known issue with AhsayCBS 7.5.0.0 - 7.5.0.2. Generate the CSR file again afterward.